River Cruise Adventures on the river in Chiang Mai. 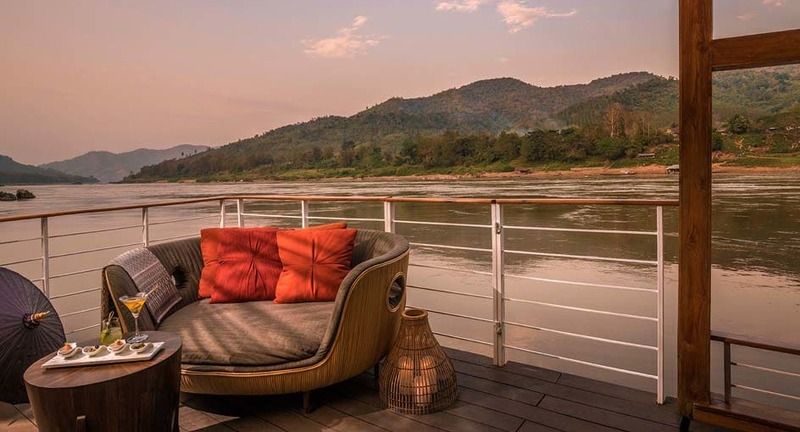 Journey down the Mekong on a three-day, two-night cruise between the Golden Triangle and Luang Prabang. Your river cruise takes place aboard the Gypsy, a highly exclusive 41-metre rice barge with only two deluxe cabins. Each day on board is filled with activities and locally sourced feasting, while onshore adventures include visits to remote elephant camps, silk weaving villages, and thousand-year-old caves. Mekong Kingdoms celebrates the colours of Indochine with passion and panache. From cabin luxe, to off-the-beaten-path adventures onshore, to gourmet dining on deck, discover a decidedly refreshing take on an age-old pastime.